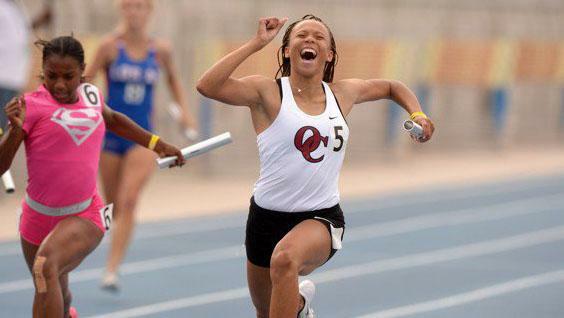 Lauren Rain Williams put up superfast times in the sprints during her days at Oaks Christian HS. Now at USC, by way of Oregon, Williams puts her speed to the test this weekend at the NCAA DI Indoor Championships. Here's a look at 20 former CIF track and field stars who are set to challenge the nation's best in the NCAA Division I Indoor Championships on Friday and Saturday at Birmingham, Alabama. The list of collegiate stars includes former CIF-State Meet champions and CA state record-holders. This isn't the full list of qualifiers with California high school roots, but 20 to watch this weekend. Find the full list of qualifiers with CA high school ties at the bottom of this article. Photos by Kirby Lee/Image of Sport, unless noted.